A Fabricated Journey: Rusty Old Circus! Hello there! 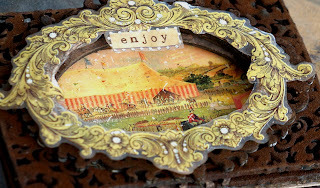 Today I'm sharing my Dusty Attic 'Morrocan' inspired ATC....'Enjoy'. 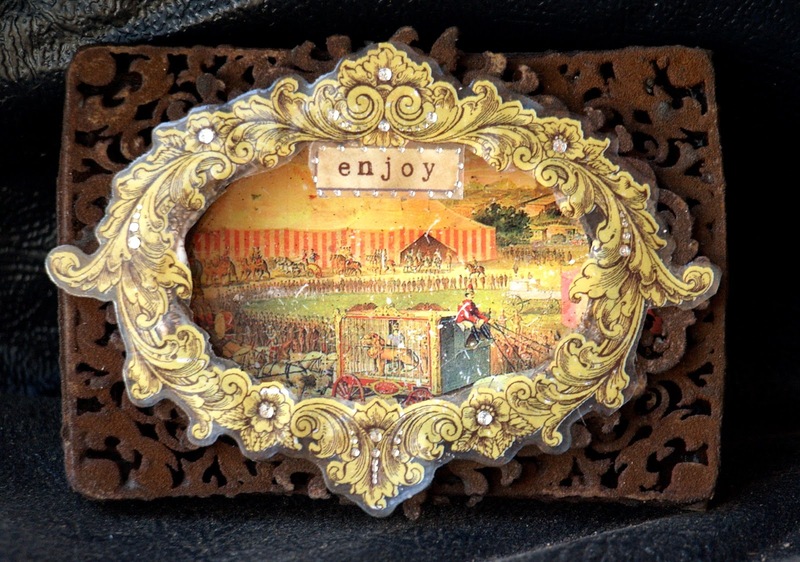 I always try to look a little 'left of centre' when I create and with this theme I couldn't help but be inspired by the ornate details in the two Dusty Attic frames #4 and #1 and by the magic of elephants and the circus. My ATC is made up of several layers ~ The base Frame layers are coated with rusting powder and the base picture and top frame are from Glitz. 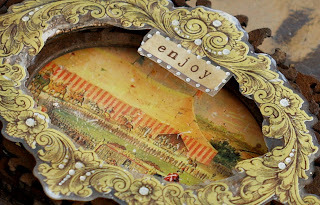 On that note, as my ATc says....'Enjoy' the blog! thanks for dropping by. G!